Also known as the Centennial State, Colorado became a state one hundred years after the signing of the U.S. Declaration of Independence. The state capital of Colorado is Denver. Colorado Travel and Tourist Information with links to official travel and tourism websites and state resources for visitors to Colorado. Around Colorado, Colorado Municipalities, Colorado Travel Guides, Colorado Travel Tips, Denver. Find out more about Colorado before you travel there. Colorado is one of the Mountain states; its name taken from the Colorado River; a name in turn given by Spanish explorers who saw in it the colour red. The Rocky Mountains are in the middle of the Centennial State, and is one of the highest regions of the North American continent. States neighbouring Colorado are: Arizona, Utah, Wyoming, Nebraska, Kansas, Oklahoma and New Mexico. Get to see the out of the way places you might never find in a rental car. More for residents than visitors, this is the state paper pushing area. Colorado combines the rustic images of the old west with the sophistication of modern resorts and cities. The online version of the official visitor's guide to Colorado. The no frills guide for those who can't afford designer prices to be seen, but still like to see. The Colorado Department of Transportation provide maps and other useful information to help you plan ahead and avoid being stuck in a cone zone, or ill-prepared for bad weather. The Colorado River has carved a number of canyons and gorges across the state. The Colorado Rockies have around 50 peaks above 4,000 metres. A great place for hiking in the summer and powder skiing in the winter; especially around Aspen, Steamboat Springs, Telluride and Vail. Greater Denver's guide to cultural events and organisations. Central City, Colorado is located in the Rocky Mountains, 35 miles west of Denver. Founded in 1932, the opera company is the fifth oldest in the United States. Denver's best hands-on experience for children is both educational and fun. Programs and playscapes are designed for new-borns through eight-year-olds; of course accompanying adults will enjoy them too. Go on, be a child in Denver. The Denver Art Museum is unique among art museums in the United States in the scope and depth of its Native Arts collection. A variety of events are also staged throughout the year, such as the annual Friendship Powwow and the DAM Uncorked Wine Event. With more than 15,000 plant species from such far-away places as Australia, South Africa and the Himalayas, Denver Botanic Gardens is recognised as one of the top urban gardens in the United States. This showcase for live theatre is a nurturing ground for new plays and a preferred stop on the Broadway touring circuit. Check out the events calendar. Complete guide to what's on in and around Denver; along with user reviews. Try these common searches for restaurants in the Mile High City. From Montclair to Capitol Hill, Cheesman Park to the Potter-Highlands Historic District, readers can immerse themselves in the rich history of Denver's buildings and neighbourhoods, while exploring the city with recommended walking tours. A major tourist attraction in the state, people visit the house to learn about the lifestyle enjoyed by Victorian Denver's upper-middle class and gain a glimpse into the life of Denver's unsinkable lady; whose real name was Maggie. Located in a spectacular setting at the foot of the Rocky Mountains, Denver is one of America's fastest growing cities. The Mile High City offers visitors a choice of outstanding cultural attractions, museums, shopping, dining and nightlife. Gilpin County, Colorado is a rural-like community located in the high country, adjacent to the Continental Divide, that enjoys low taxes with a financially secure, unobtrusive government presence. Many visitors come to enjoy Golden Gate Canyon State Park or the Arapaho and Roosevelt National Forests as well as spend time in one of the many casinos located in Black Hawk and Central City. When going skiing in Colorado, take a look at some of the smaller ski areas. They cost less, the lines are shorter, and you'll probably have more fun skiing. 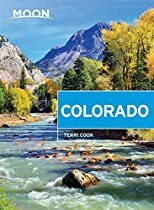 Colorado Travel Guides - Colorado Maps.